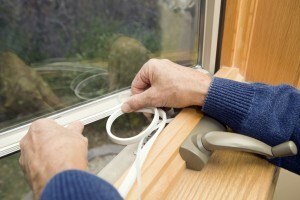 No matter how well you care for your windows, they may eventually need replacing. Vandalism, accidents, re-modeling and age can all necessitate a window replacement in Rancho Mirage. You want to get long lasting windows installed by trusted local window replacement professionals. At Macklin Mirror & Glass we provide exceptional work that truly shines. Every job is overseen by the owner to ensure quality. With a shop for window fabrication, we can create the perfect custom window replacement for you. No matter what frame type or style you have or want, we can install the perfect window for your home or business. New Styling – Your window replacement in Rancho Mirage is a great opportunity. If you want a simple window pane replacement we have a number of different options to suit your home or business. These include smoked glass, laminated glass, and much more in a wide variety of textures. Efficiency – We don’t just have stylistic options. Your window replacement can provide increased thermal resistance, sound resistance, and even impact resistance. Different business types and home owners have unique needs, we’ll work with you to identify the optimal window glass type for you. Custom Windows – Thanks to our window fabrication we can create windows for any frame or style type. Nearly limitless options mean that even if you need irregularly sized or shaped window replacements, with our window services you’ll have them in no time at all. When it comes to shower doors or a window replacement, Rancho Mirage residents know they can always rely on us. From professional fabrication to installation, we do it all. With exacting standards and intensive quality control, when you’re looking for the best craftsmanship and quality from your window replacement in Rancho Mirage call (760) 574-3487 or Contact Us today. With historic locations like the gorgeous Sunny Lands retreat center, there are so many things to see and do in Rancho Mirage. Parents know that the best place to take their children for a day of fun and excitement is the Children’s Discovery Museum of the Desert. With a variety of interactive exhibits and classes it’s a Rancho Mirage staple.